Esther meets her new parents, Brian and Lindsay, with Brian's dad, Don. SHAWNEE—Brian Morris is experiencing a lot of new beginnings in his life. He is still beginning his stint as assistant athletic director for external operations at Oklahoma Baptist University (OBU). From an athletic development standpoint, he is helping the OBU community embrace the beginning of a new era of Bison football. His family also is at the beginning of adding to their family, four-year-old Esther who they recently adopted from the Democratic Republic of Congo (DRC). 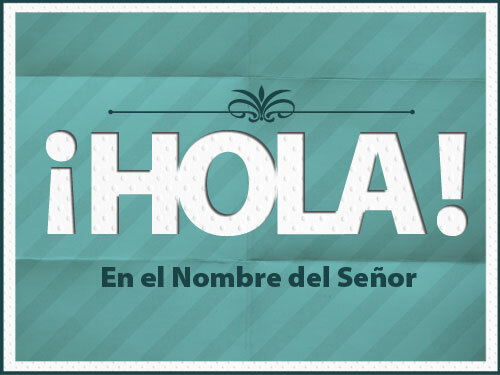 Though this is the beginning of Esther being a part of their family, the process began about three years ago and had many transitions. Without telling any family or friends, Lindsay and Brian began praying about the possibility of adoption. “We just didn’t know how people would respond, and we didn’t want our decision to be swayed by anyone or anything other than the Lord,” he said. Much soul searching, researching about the conditions of orphans worldwide, praying and Scripture reading helped strengthened their consideration to adopt, but according to Morris, a late night moment was the deciding factor. 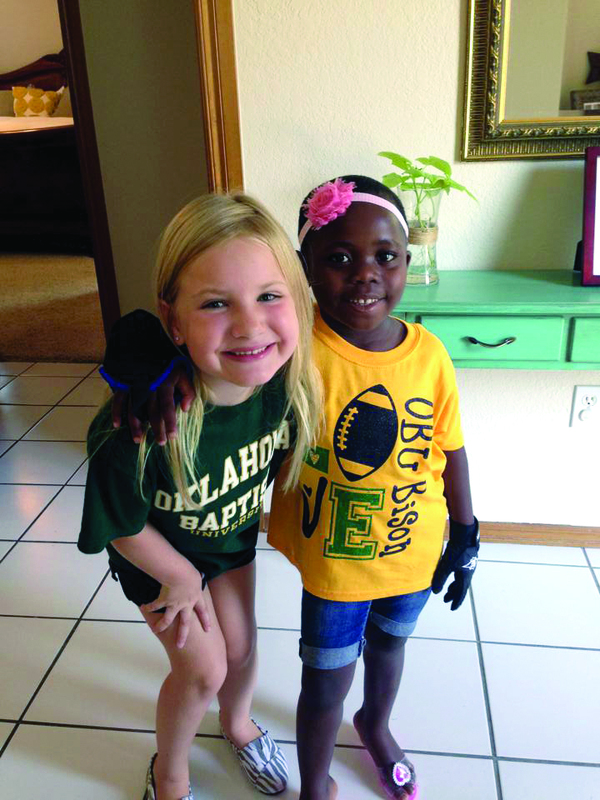 Deciding where to look, receiving guidance from church family and ministry staff at Oklahoma City, Quail Springs, and filling out a “mountain of paperwork” was just the beginning of their adoption journey. How they decided on a country came after attending an Oklahoma City Thunder game and learning Thunder forward Serge Ibaka was from the Congo. Though Ibaka’s country, Republic of Congo, did not have adoption programs, the neighboring DRC did. 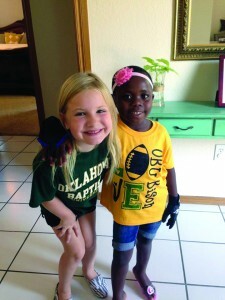 Esther and her friend Keylee are ready to go to the OBU football game. So many twists and turns followed on their adoption journey. When Brian and Lindsay thought they were making progress in adopting a Congolese baby girl, heavy disappointment occurred as they received a one-sentence message that she passed away as a result of a short illness. While continuing this extensive journey, Morris accepted his current position at OBU, and the family moved to Shawnee and joined Shawnee, Immanuel. In a matter of days, Lindsay, Brian and Brian’s father, Don, boarded a plane to Congo to go pick up their little girl. 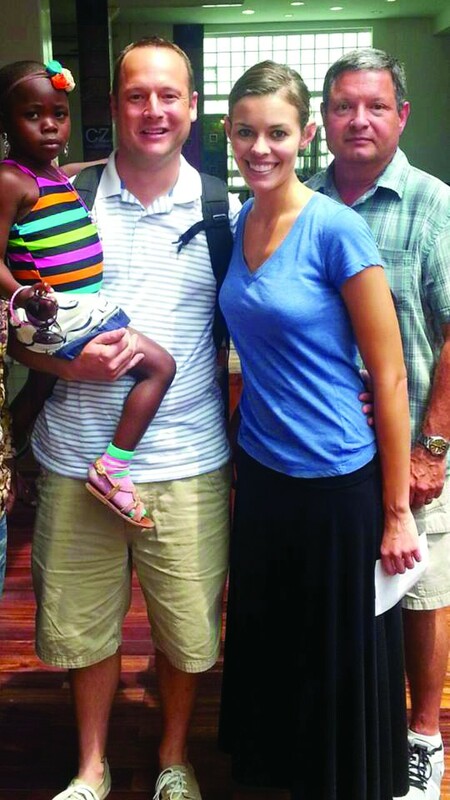 “We arrived in Kinshsa, Congo late on a Thursday and met our sweet Esther Mulumba the next morning,” Brian said. Lindsay, however, ended up staying more than three weeks until finally receiving permission to leave the country with Esther. They both arrived in Oklahoma City around 11:30 p.m. on Friday, Sept. 6, greeted by many family and friends. Hopefully, as far as others following the Morris family’s example of adoption, this may only be the beginning.